Can’t get enough of your favourite fandom? Let NyxRising Industries fill the gap! Hi there! I’m Nyx; I’m the director and editor for our Youtube channel NyxRising Industries. Welcome to NyxRising.com! If you like to drink in extra content based on all your favourite things, you’re going to love our videos. We are a cosplay and indie entertainment Youtube group making cosplay parodies, drama series and music videos based on fandoms such as Harry Potter, Until Dawn, Dragon Age, Hannibal, Avengers and more. We also offer geeky lifestyle content, cosplay advice, history, recipes, motivational and positivity vlogs and more. We are an all-round geek lifestyle machine! Our biggest project to date – ‘The Blackwood Files’ is a found footage parody and reimagining of the video game UNTIL DAWN by Supermassive Games – it’s one of our favourite games ever and we’re just ecstatic to be sharing this with you after months of talking about it and dreaming about it. T-shirts, stickers, coasters, polaroids, mugs – whatever you’re after to show your NyxRising pride, the NR merch store has it! 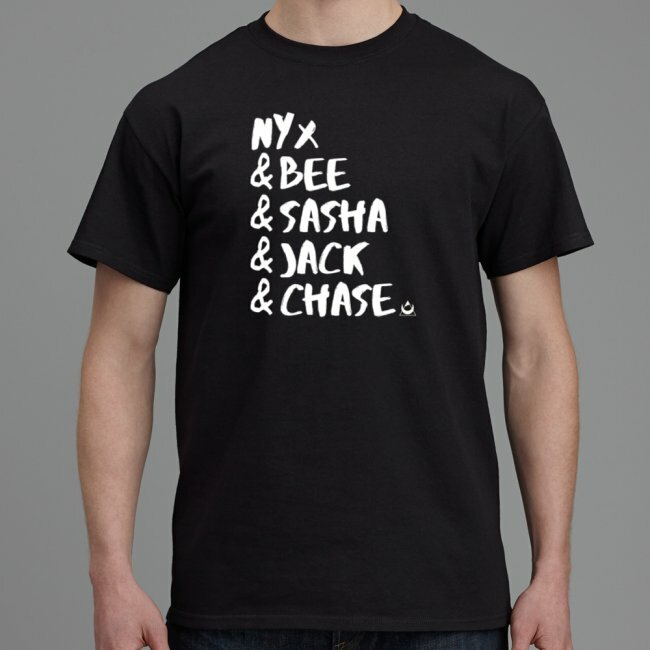 Check out this month’s featured merch, the Tribe names t-shirt.